You may have received the notice from Google Analytics below. Google Analytics has already set the default for your historical User-Level and Event-Level data retention date to 26 Months. 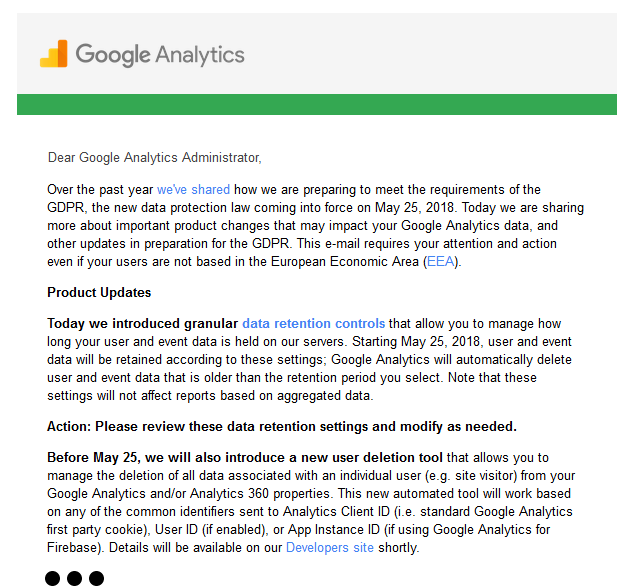 That means starting on May 25th, 2018 any User-Level and Event-Level Data older than 26 months will be removed from your Google Analytics Account. This field can be updated from “26 months” to “Do not automatically expire” within your Analytics Account. If you want to maintain as much historical data as possible, it is critical that you make this adjustment. If you would like Acorn to help you with this, please submit a Support Ticket by clicking here or going to our website and clicking on the Support Ticket tab. This time is billable. Please click the Submission Response button in the email you received today (See Snapshot Below). This time is not billable, as it is in included in your Advantage Plan Subscription. 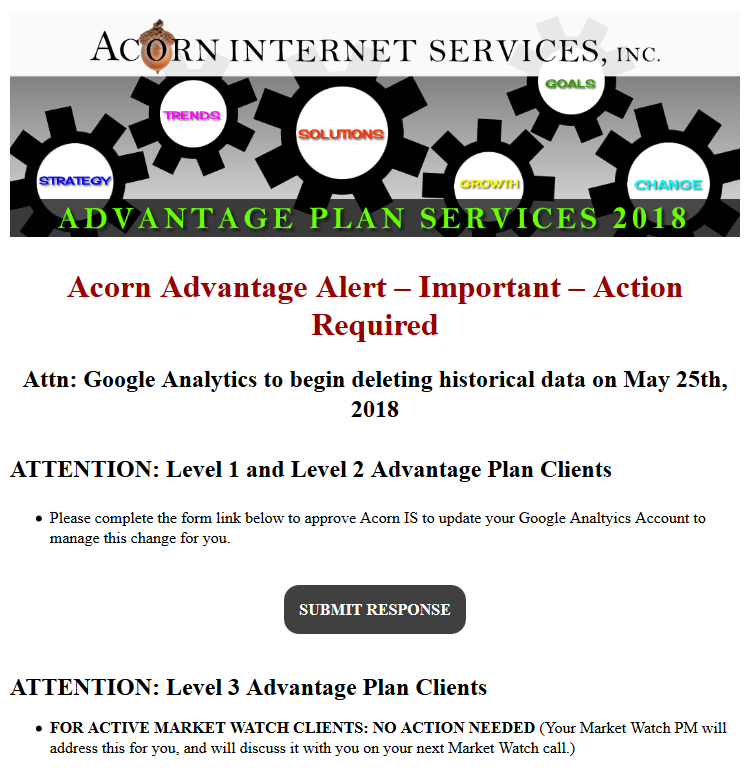 NO ACTION NEEDED for our active Market Watch Level 3 Advantage Plan Clients. Your Market Watch PM will address this for you, and will discuss it with you on your next Market Watch call. This time is not billable, as it is in included in your Advantage Plan Subscription.